I grew up eating what most of us in this country were eating in the 70's and 80's. My sisters and I joke about the point - well into our teens - at which we learned you could bake a cake without a Betty Crocker box, or the discovery of lettuce other than iceburg. Oh, the food of our childhoods - The brands. The salt. The sugar. (and for me, like many others - the childhood ulcers, asthma, and allergies that went along with the diet). Oy. I remember clearly the moment when I was 13 years old and babysitting in another home - and opened the fridge to discover shelves full of green stuff. I had no idea what any of it was. But I knew I wanted it - needed it, in fact. Next came the discovery of an old, worn and tattered Moosewood Cookbook that I opened like it was some sort of precious artifact (well, it is, really), and brought home with me to devour the unfamiliar words in the recipes. It was then - much to my parents credit - that I began doing my 'own' grocery shopping. Wandering around the natural foods aisle grabbing tofu and fantastic foods mixes - having no idea what to do with any of it, but knowing that it was a start. 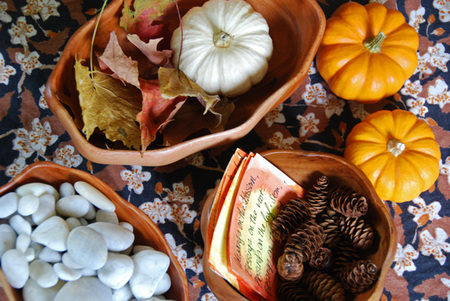 I've learned a lot about food since that point 20 (gulp) years ago, and I'm still learning a lot about food. I can happily say that my fridge looks more like that one full of green stuff than I ever thought it would. Good food is important to me - important to my family. And the most basic - and yet, revolutionary - thing I've learned about food is how directly it is linked to every sense of my health - of mind, body and spirit. I've had these food memories and thoughts on my mind since receiving Shauna's book last week, and reading her story of finding the 'right' food for her. And today, I'm honored to be a stop on her virtual book tour for the release of Gluten-Free Girl: How I found the Food That Loves Me Back & How You Can Too. The book arrived last week - and I gobbled up the entire book in one day's worth of our adventures - sneaking reads whenever I could until I reached the end. You could say I devoured it - laughing and tearing up throughout it. Shauna writes from such an open and honest heart - the one we've come to know through her blog - and the result is a truly beautiful book. And, you might be wondering, no we are not gluten-free. This is a book about food, love, health - the whole 'life' picture. The story of her path to wellness through food is so inspiring. 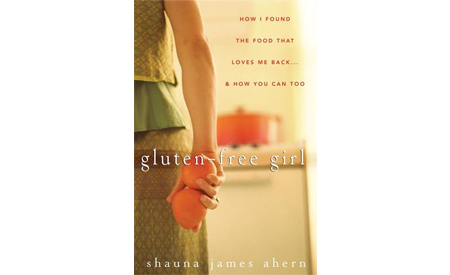 And throughout the flow of her storytelling in the book, she weaves in information about Celiac disease, tips on living gluten-free, and an array of delicious-looking recipes. Anyone already living gluten-free - or just beginning that path - will surely find much in this book to add more beauty, joy and good food to their lives. And everyone else who reads it will think a little differently about the food they eat, where it comes from, how it is prepared...and the kind life in which it all happens. 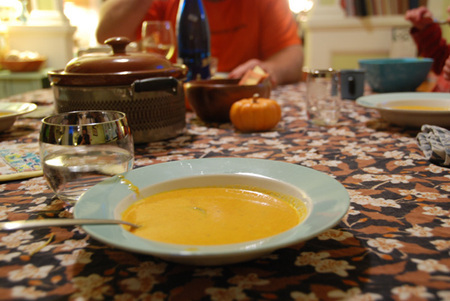 This weekend we made the Curried Carrot Soup from the book. It was a big hit - sooo good and deep in flavor, and so perfect for the fall evening in which we ate it, after a long walk in the woods. Cheers, Shauna! It's a beautiful book you've shared with the world!